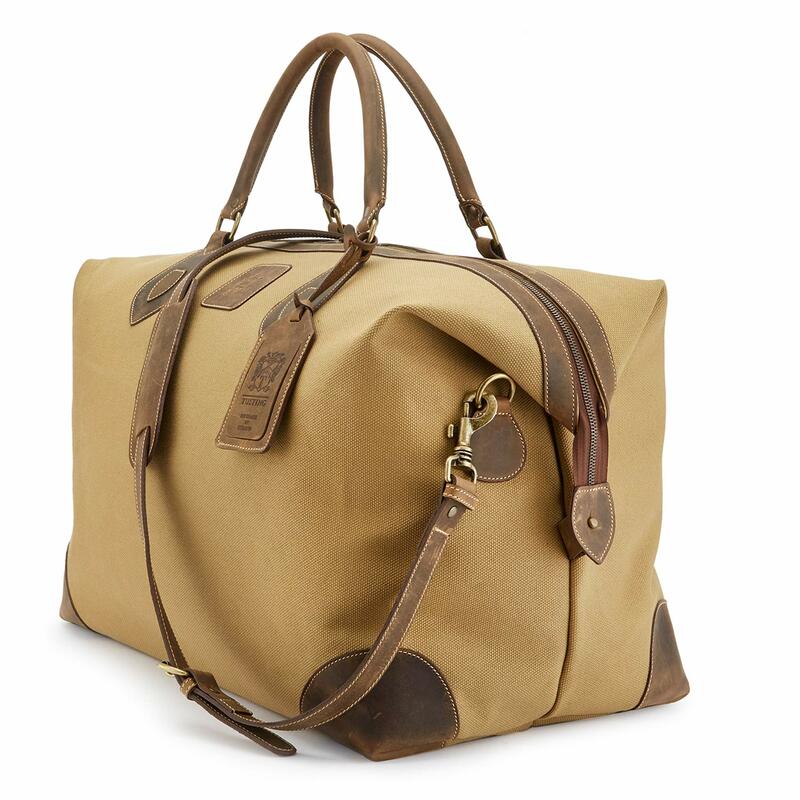 Our classic Explorer holdall: the perfect companion for your next adventure. Oft copied, never bettered. 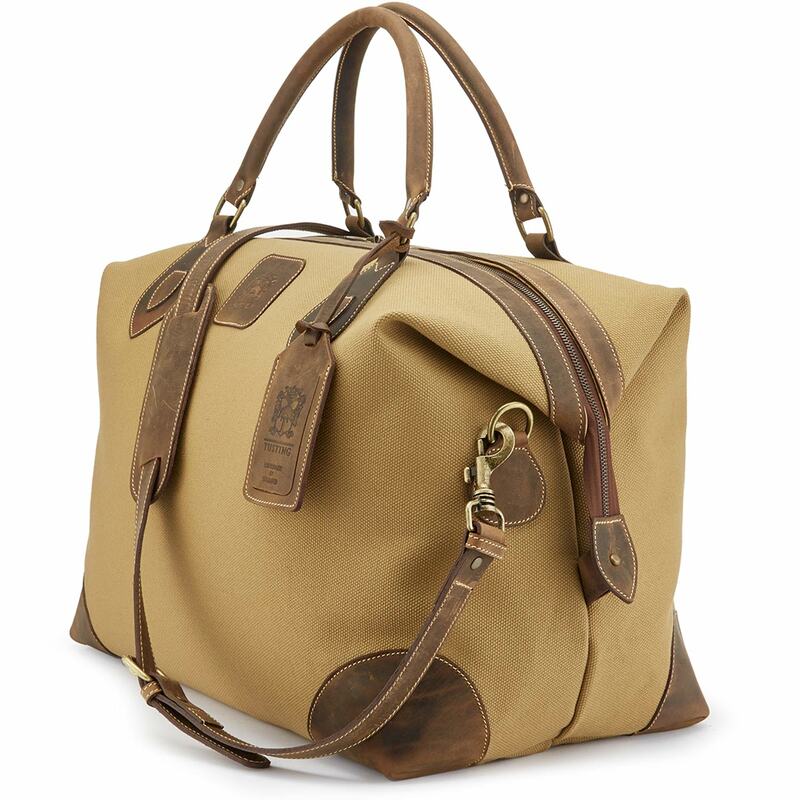 It’s easy to see why the elegant and remarkably hard-wearing Explorer is one of our most popular bags. 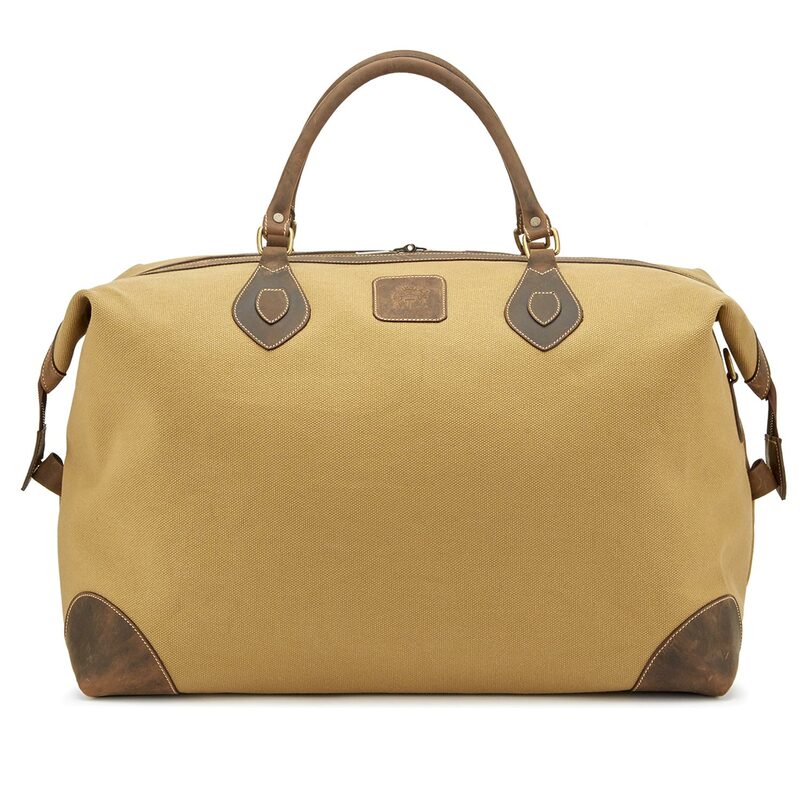 A spacious and versatile travel holdall, the Explorer comes in three sizes and a range of stylish leather and canvas configurations. 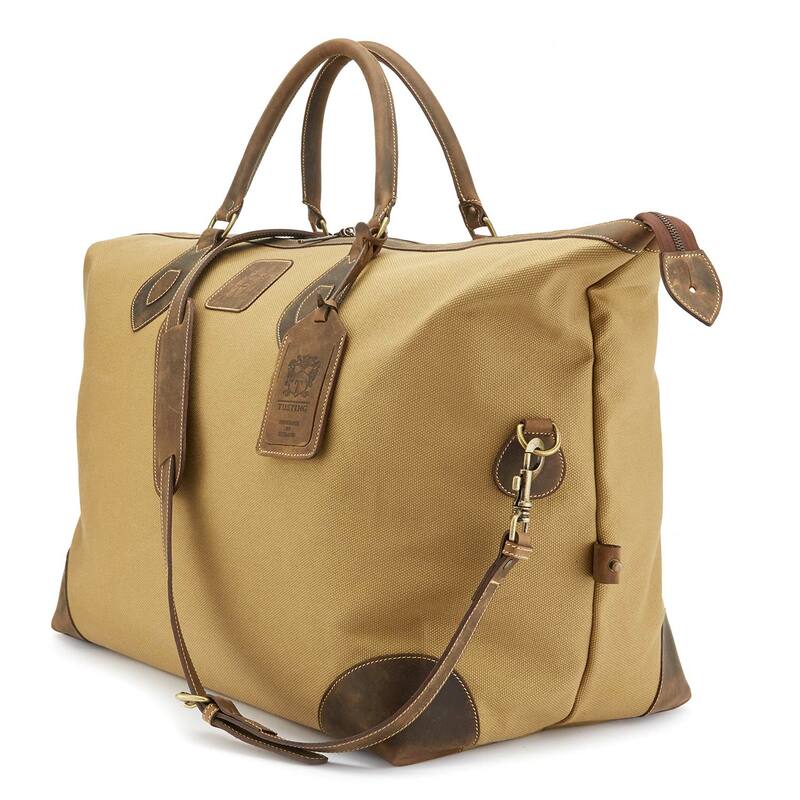 The Explorer is built to travel, and made to last. 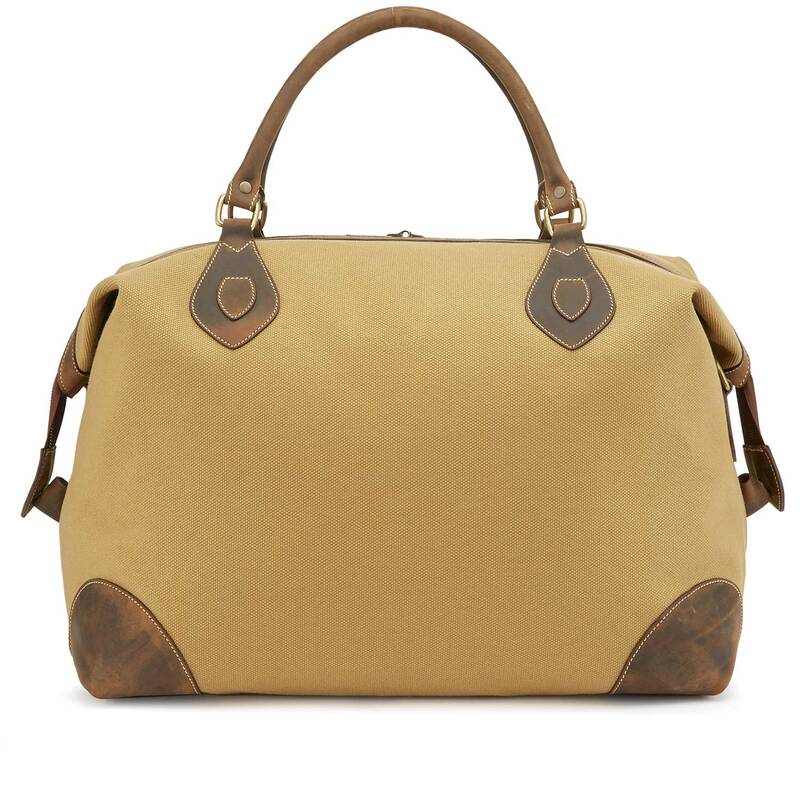 Our smallest Explorer bag is a small holdall or large handbag; it sits comfortably on your arm but is capable of stashing loads of stuff. 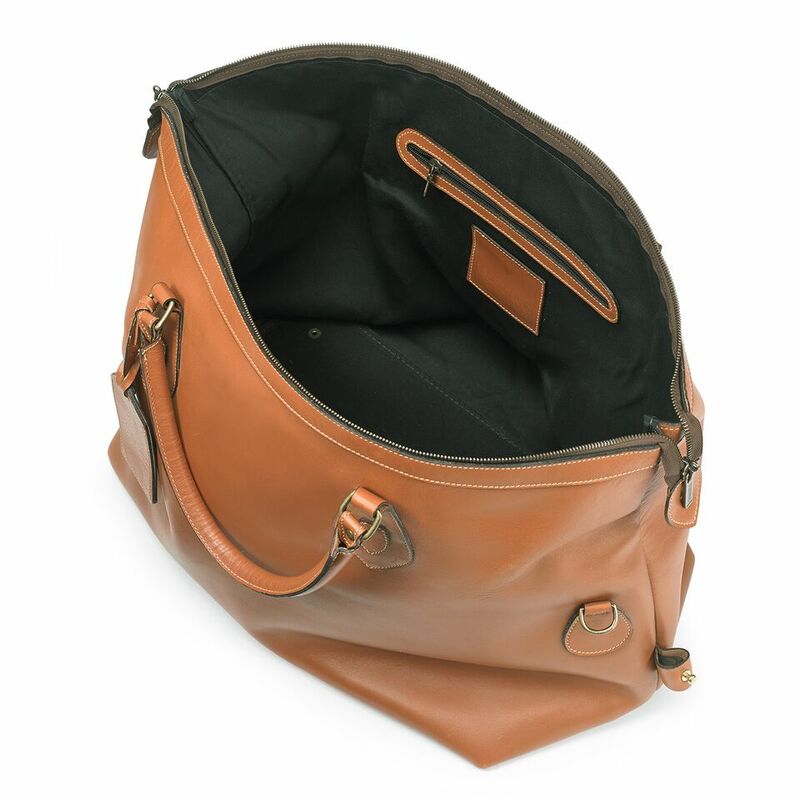 The Explorer Medium is the perfect size for a weekend or short break and good for airline carry-on if not fully filled which means you can squash it into one of those measuring cages. 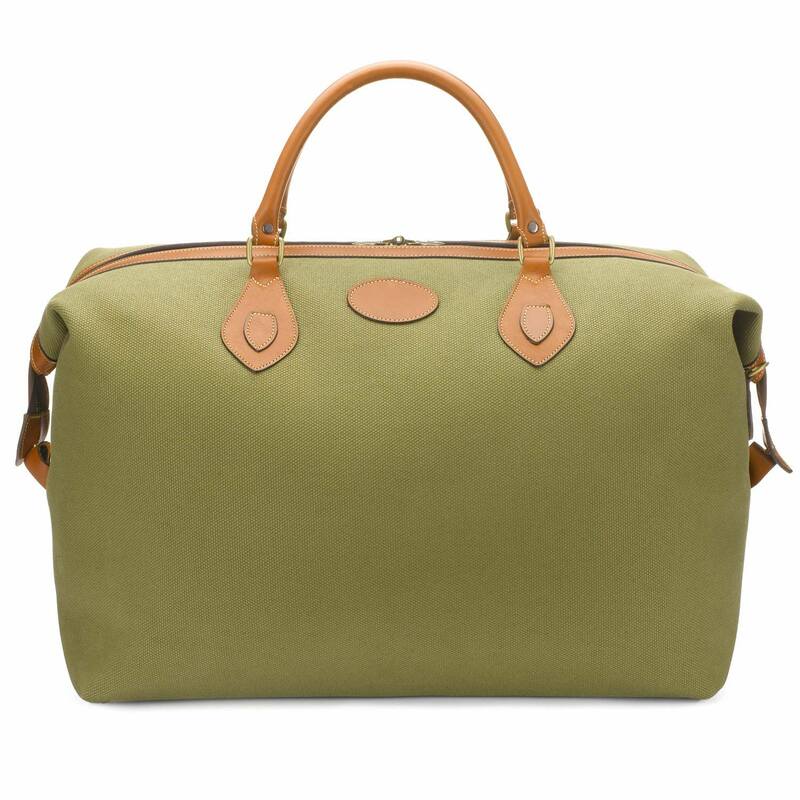 Big enough for two people’s gear for a weekend away or all you need for a week. 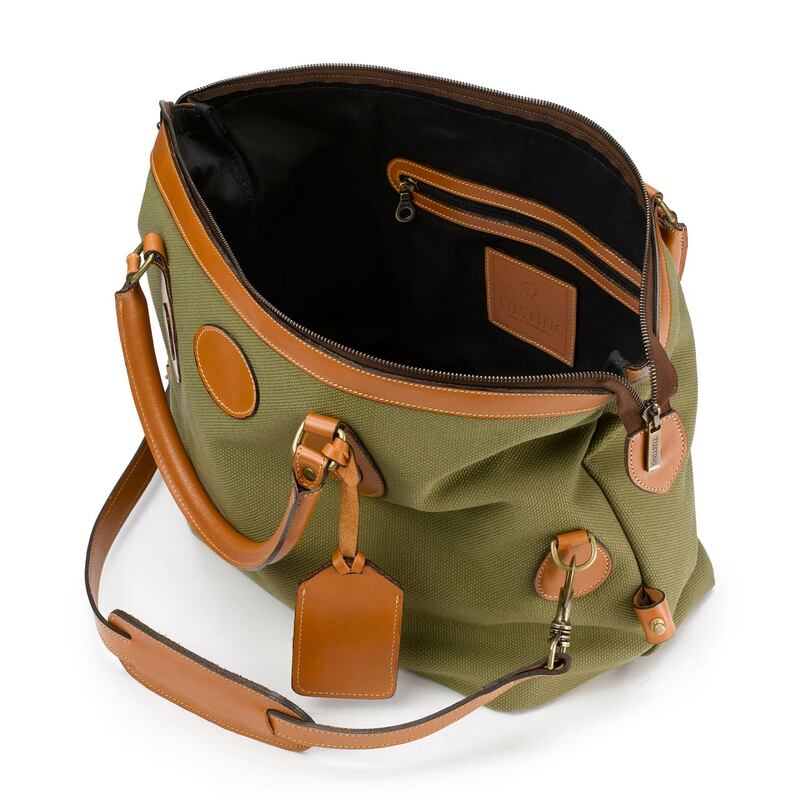 Incredibly tough, weather-resistant olive 24oz canvas, with a smart tan leather trim. 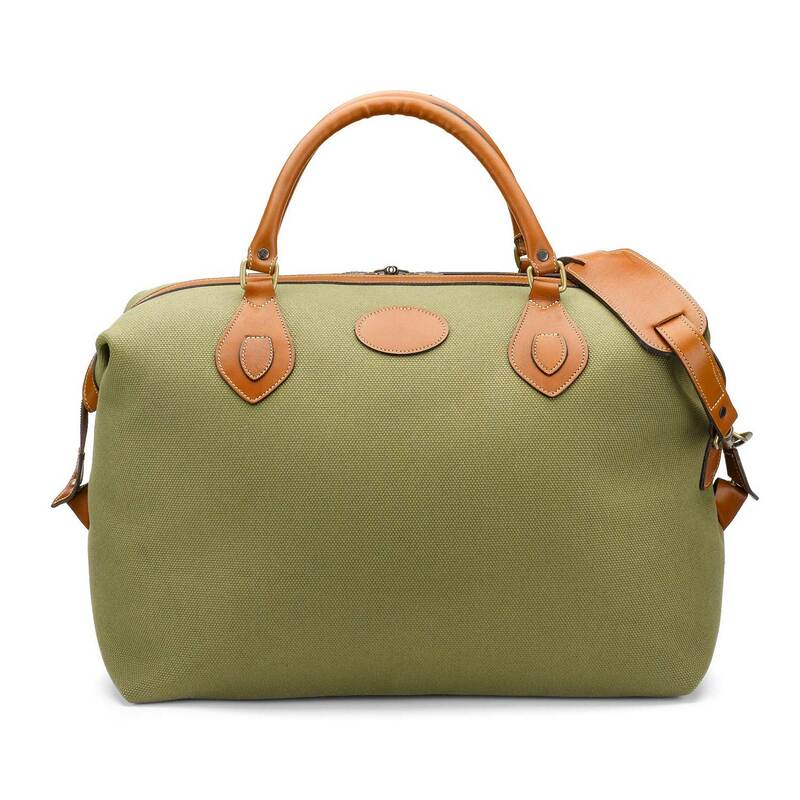 A durable bag that’s made to withstand life on the road, the Explorer holdall in olive and tan is our most iconic colourway and has been seen held by some very famous hands. 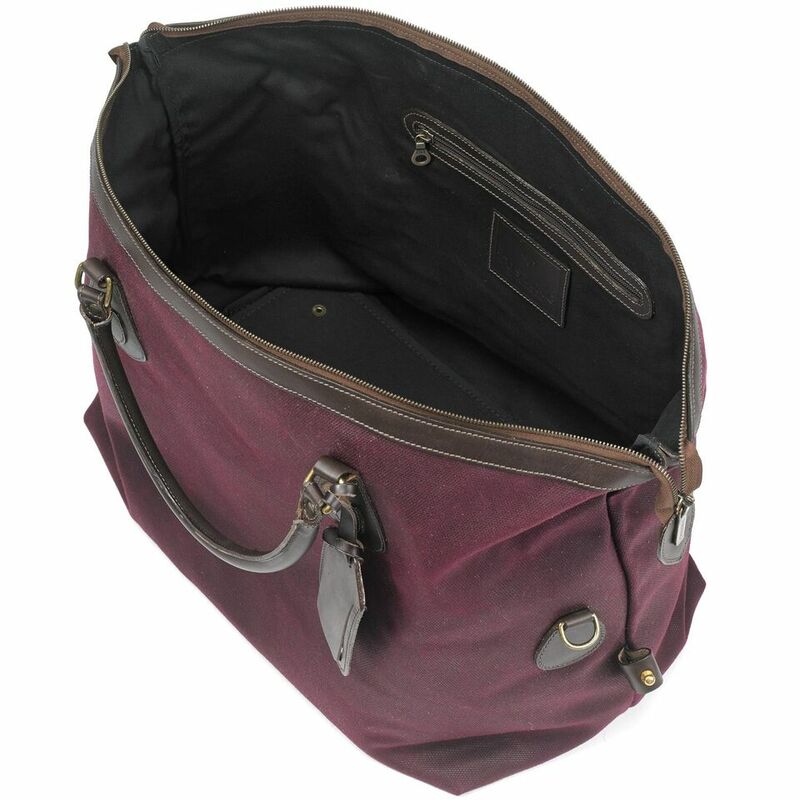 Weather-proof, dry-waxed 24oz canvas in rich claret, with dark brown bridle leather trim. 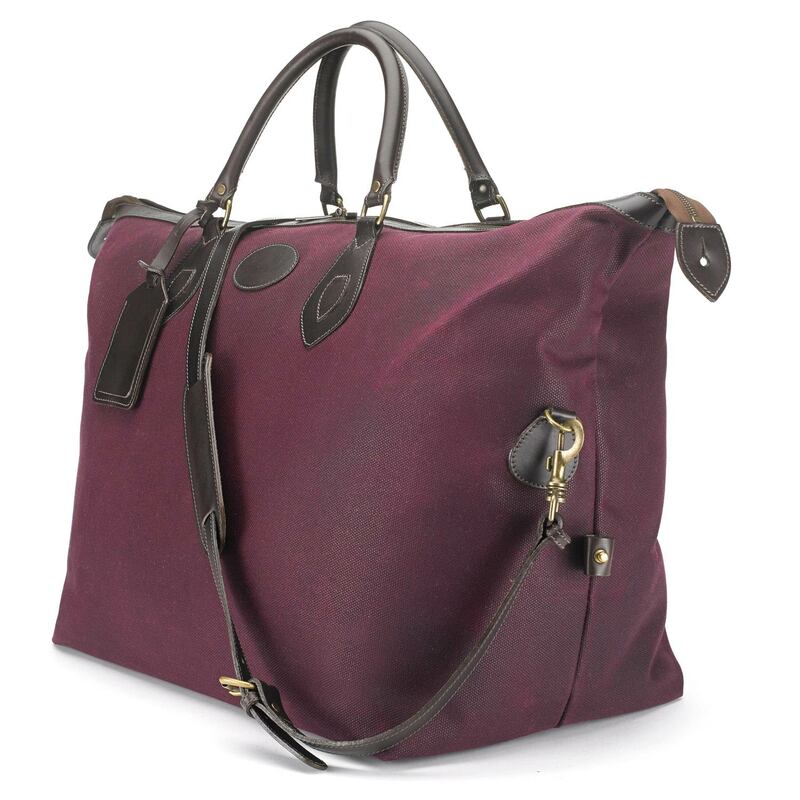 A resilient fabric that’s full of character, our Claret Waxed Canvas Explorer, which is extremely weather-resistant, will absorb the bumps and knocks of everyday life, developing a unique pattern, and making your bag uniquely yours. 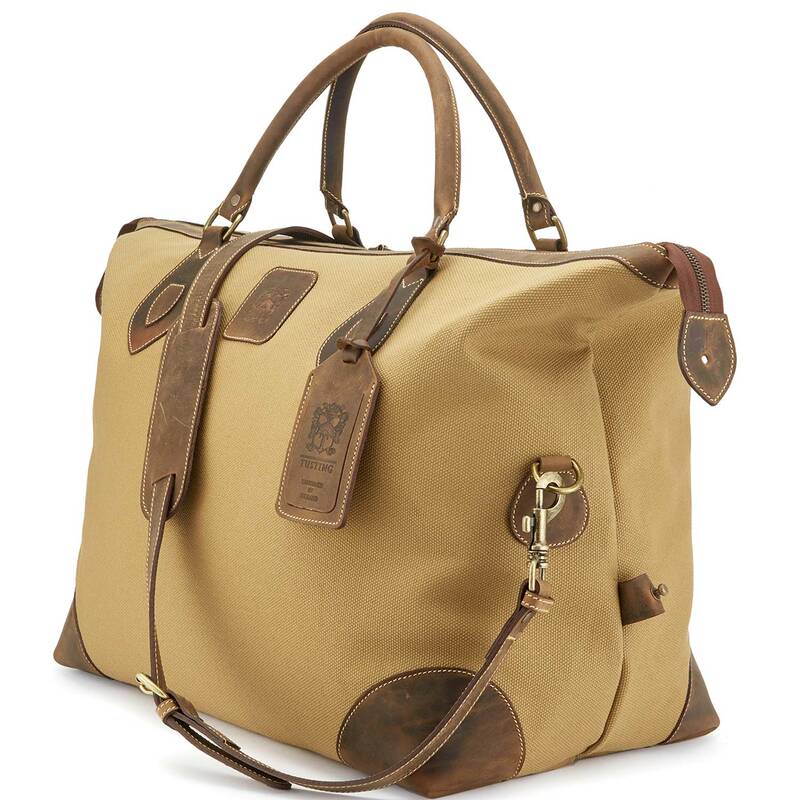 The quintessential safari luggage: classic sand-toned weather-resistant 24oz canvas with our super-rugged, distressed Aztec Crazyhorse leather trim. 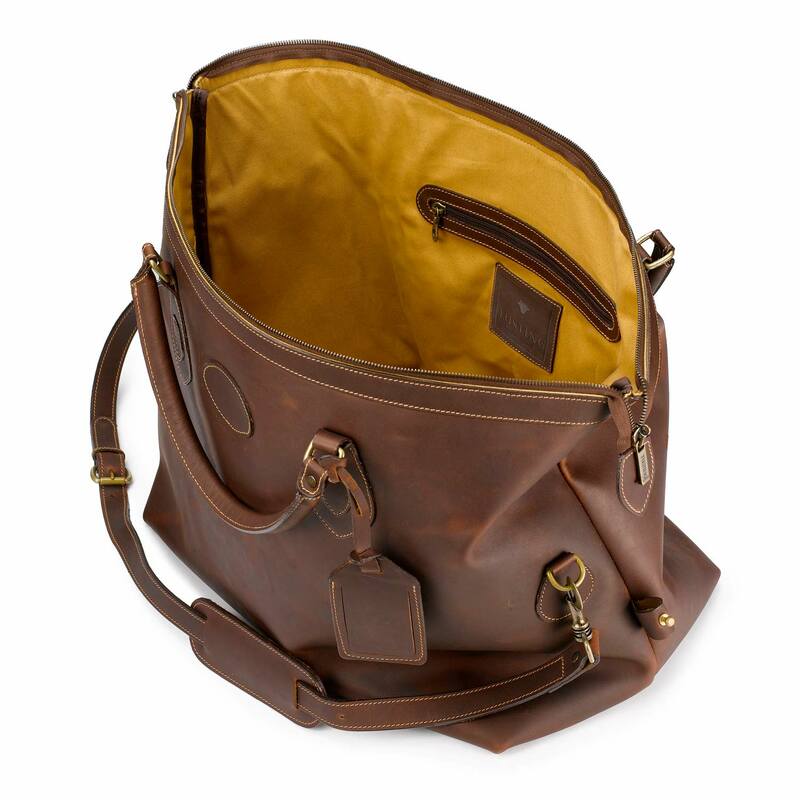 We’ve added leather corner reinforcements for even greater durability, giving you a bag that’s robust, light-weight and wonderfully stylish. 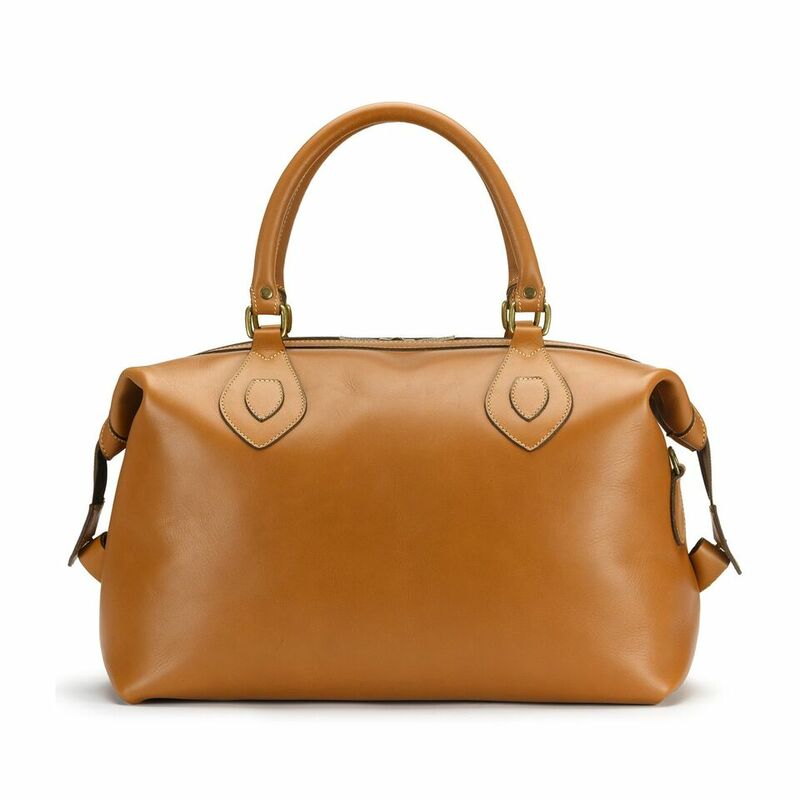 Sober and sophisticated, our Sundance Floodlight leather is aniline-dyed with a high wax content that shows off the natural grain beautifully. 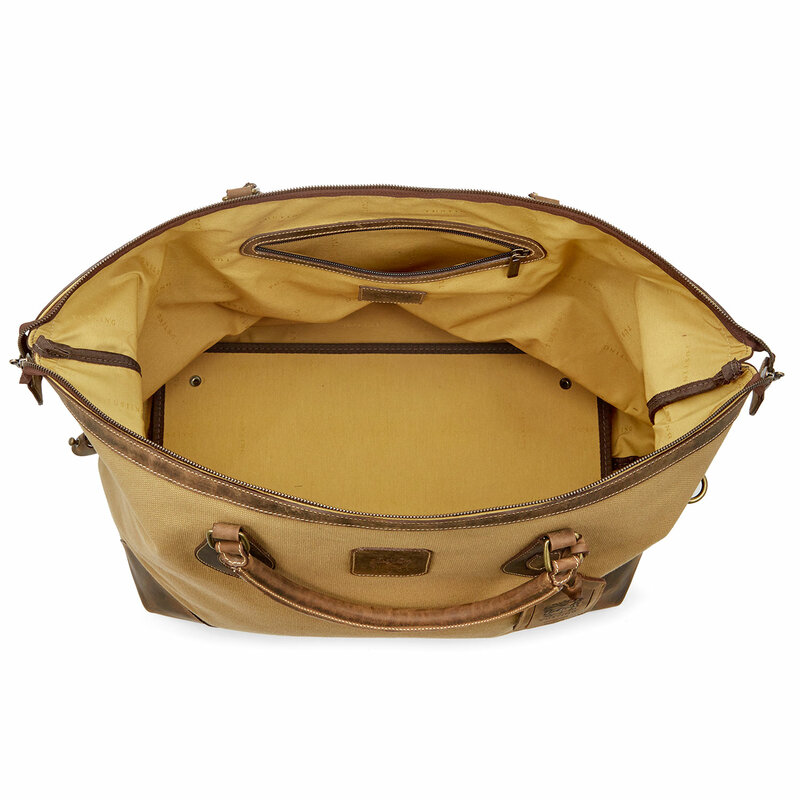 The Sundance Floodlight Explorer starts life with a matt finish and develops a gentle sheen over time, standing up to the toughest challenges with style. 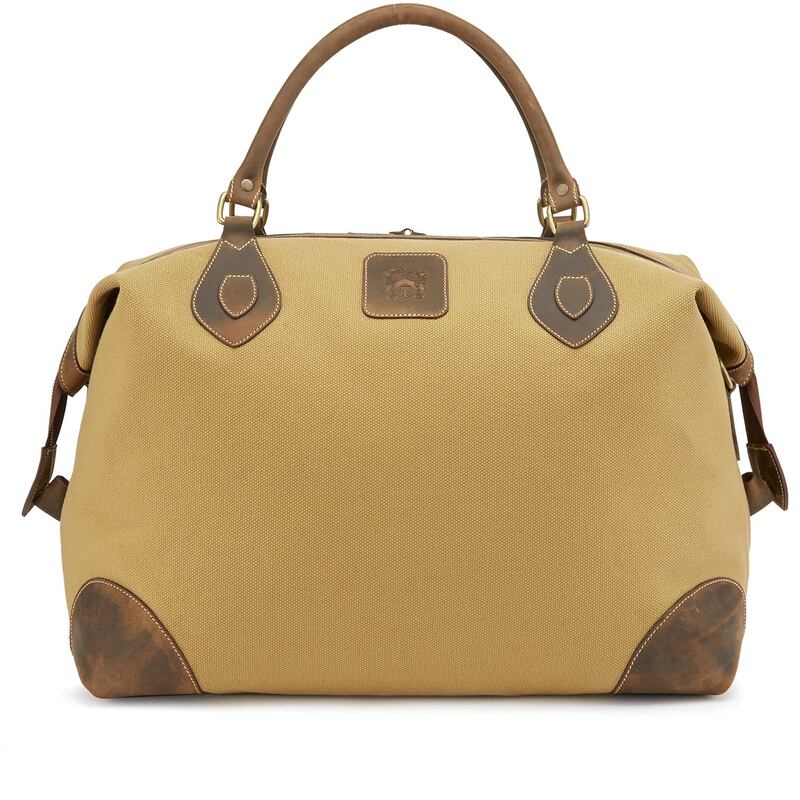 The Explorer holdall in our softly glossy Tan Atlantic leather: a popular choice and it’s not hard to see why. 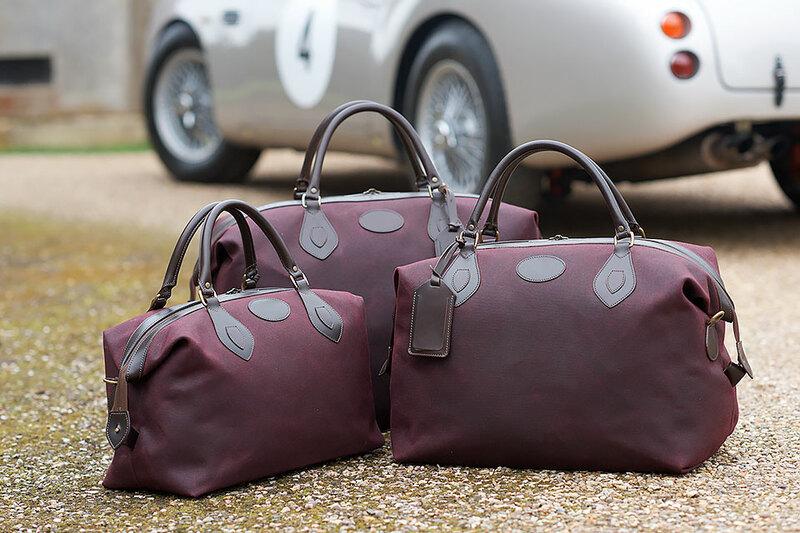 Rich and warm, this premium full-grain leather withstands the rigours of travel, and ages wonderfully – the perfect travelling companion for wherever the road takes you. 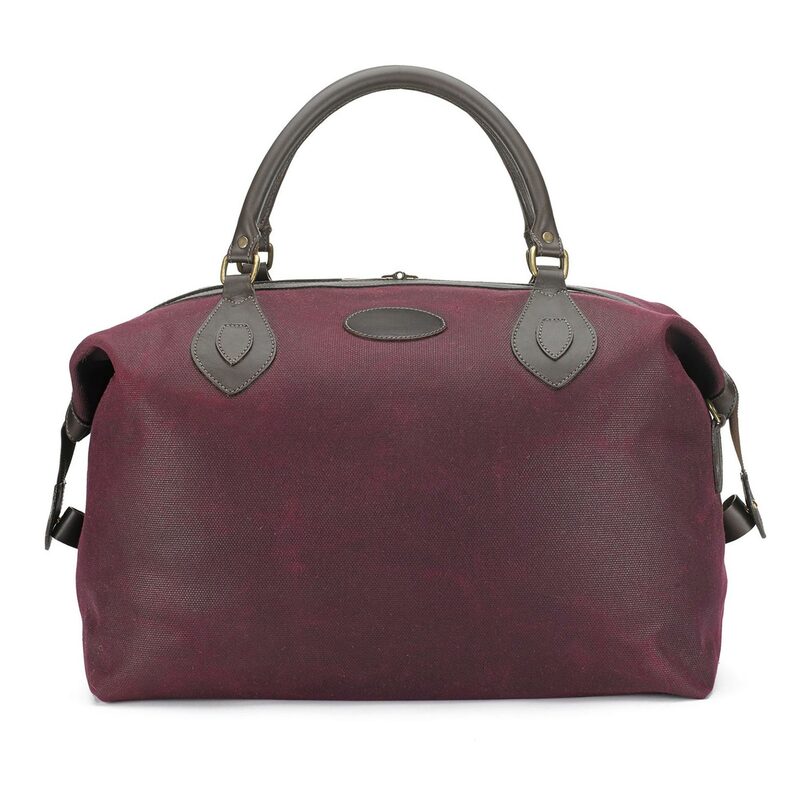 We first developed the Explorer holdall as a lightweight fabric travel bag with sturdy leather handles and accents. 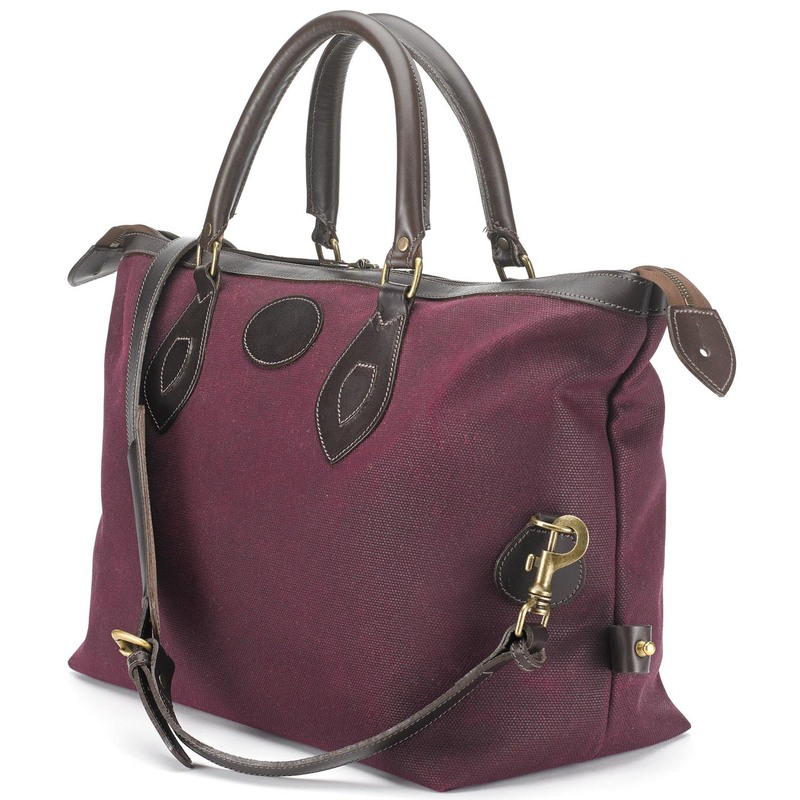 Little did we know it would become a runaway favourite with our customers! 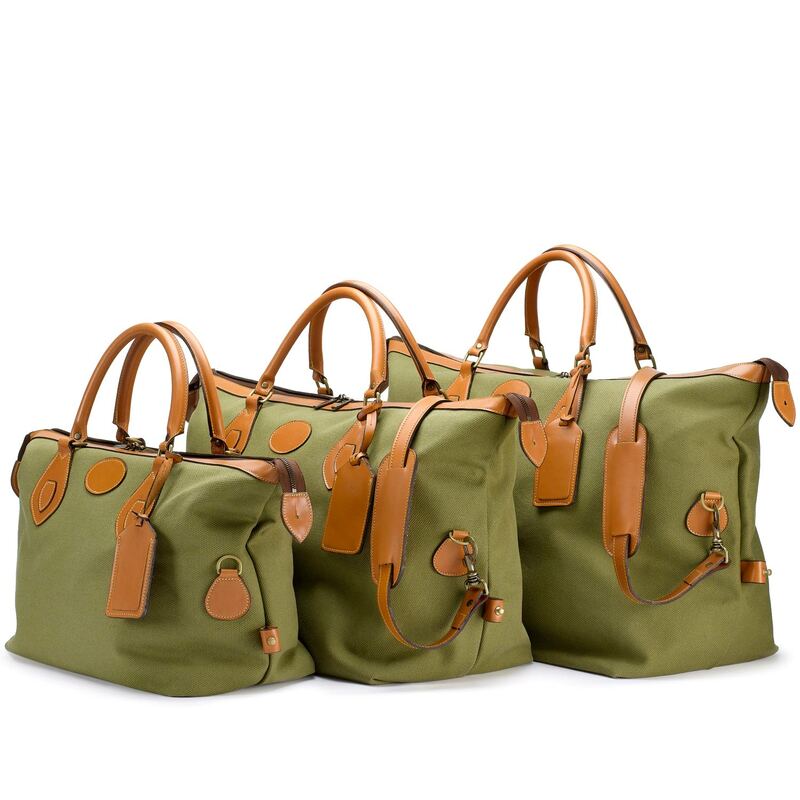 We’ve expanded the range to encompass a number of all-leather versions, in addition to our original canvas-leather configurations. 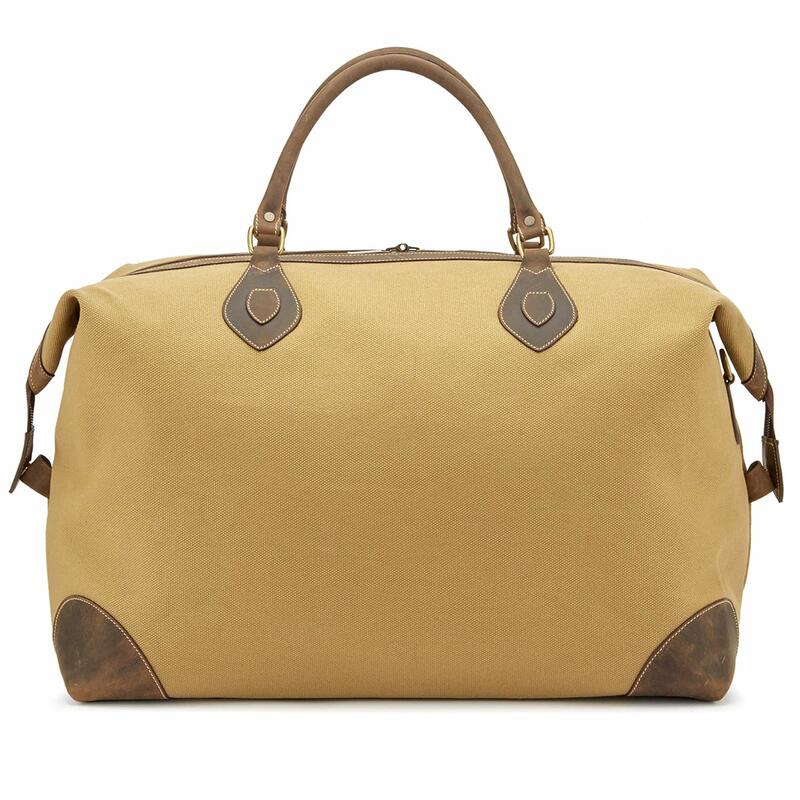 Our canvas is no less robust than our leather though, we even once heard from a customer who’s canvas Explorer fell from a helicopter (whilst it was airborne) and suffered no damage at all from its fall to earth. 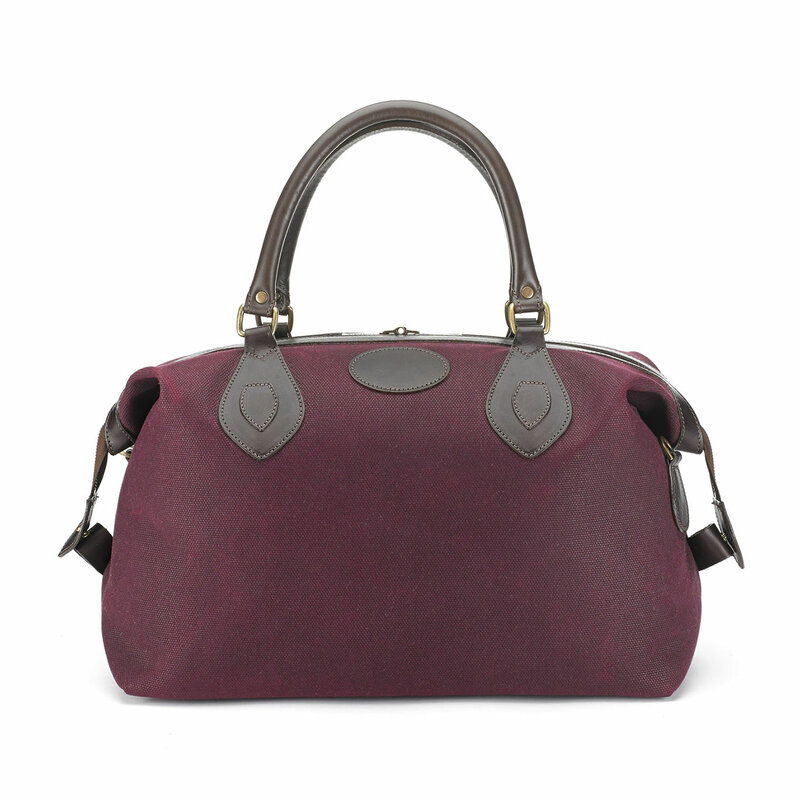 Every TUSTING bag is hand-crafted by experts in our Lavendon workshop, which gives us a lot of flexibility in the final results. 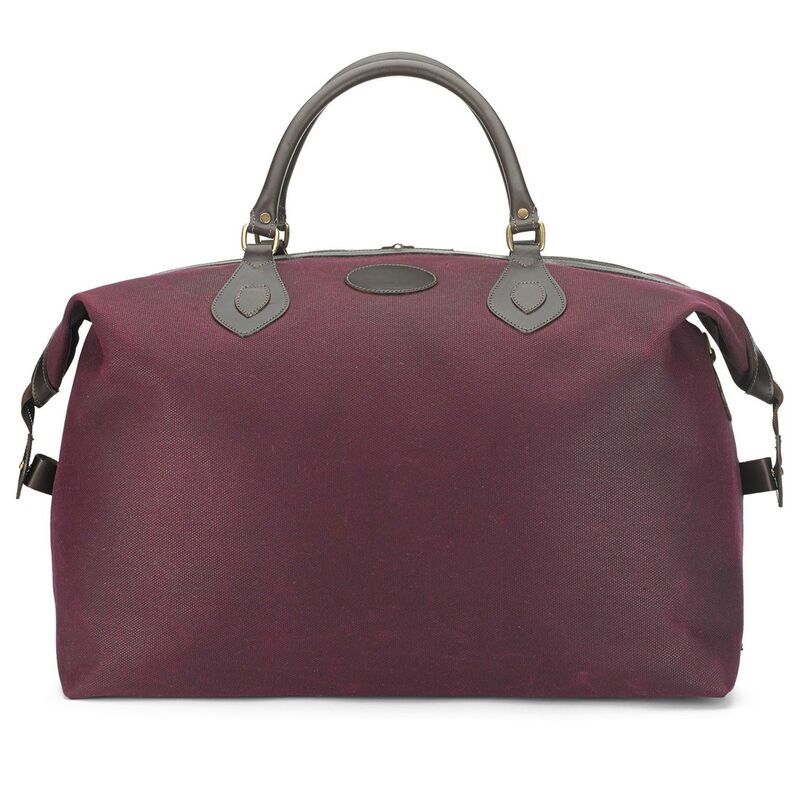 To find out how we can customise the Explorer holdall to suit your individual requirements, please contact us. 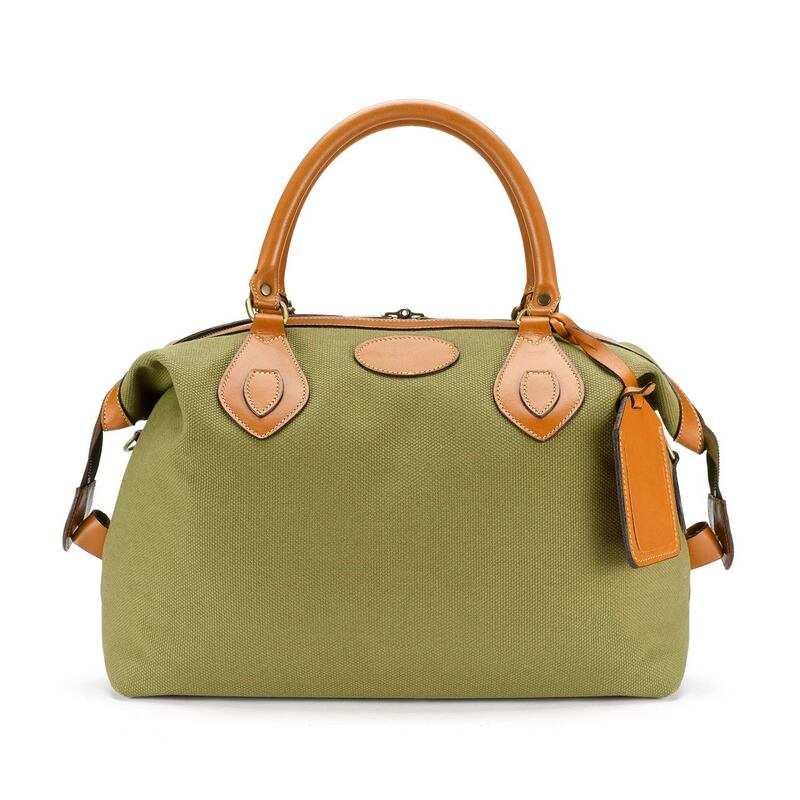 Learn more about our bespoke services.